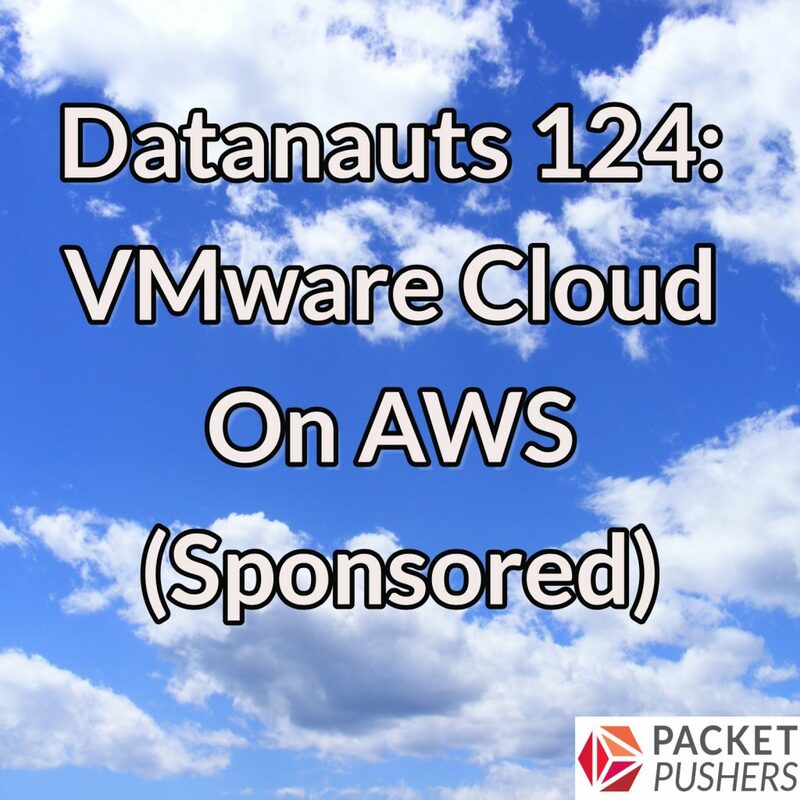 Today on a sponsored episode of Datanauts, we dive into VMware Cloud on AWS. This service lets you run a VMware environment (including ESXi, vSAN, and NSX) in Amazon’s AWS on bare metal servers. It’s sold and supported by VMware. Our guest to help us sort through the nuts and bolts of this service is Matt Dreyer, Director of Product Management, VMware Cloud on AWS. We explore common use cases, including cloud migration, on-demand capacity, and disaster recovery. We examine how this service might impact your operations, tooling, and skillsets (hint: it’s exactly the same as VMware on premises, but if you want to dig into AWS Networking and other specialties you can). We also look at how VMware Cloud ties into AWS services, discuss available topologies, and review a slate of new announcements about the service. Check out the links below for details on pricing, capabilities, and more.